For this purpose we created so-called "all in one boxes" in our secure webshop, all the items you need for certain care and/or repair jobs. and Saicos Floor Care set. Hi, I'm going to lay an oak wood-engineered flooring in my hallway. I have a carpet down at the moment, which is not very thick, but has quite a smooth texture. Would I be able to lay laminate over it, and it could be used as an underlay for the wood floor? I'm afraid the answer is NO. You should never use carpet, or old carpet underlay, underneath a hard floor covering. Not only is it a different type of "underlayment" to that which you should use when installing wooden or laminate flooring, just think of all the little bugs, house mites, etc., still in the carpet or carpet underlayment. No matter how well or often you vacuum clean, they will still be there! Bugs and house mites love warm and humid conditions - so you'd be creating the perfect breeding circumstances for them. Remove carpet and carpet underlayment, vacuum clean the bare underfloor thoroughly, and use proper underlayment especially made for wooden or laminated flooring. This will give you the best results. Now we always answer the question, no matter how baffled we are. We know wood-flooring, its installation, finishing and caring for have others baffled too, we are here to inform and advice everyone. Have a question yourself - use the ?help button at the bottom of every page. Do I use this after that? A wooden floor is a beautiful and natural floor covering, with its lustre and shine. But not everyone appreciates its shine - due to the applied finish. "I've just sanded down my Oak floor and I now love the colour, or the lack of it, the wood has now. How can I keep this (lack of) colour?" "I know I have to finish my floor to protect it against dirt and stains etc, but finishing will give the wood a certain colour which I do not like that much. How can I...... etc"
As one of the persons asking the question already indicated, you'll have to finish your wooden floor after sanding (or if you purchased an unfinished floor) or you'll quickly end up with a dirty floor and stains that could be hard to remove. There is however a solution to keep your floor looking rather unfinished, using Saicos Premium HardWaxOil PURE. This is one of the sheens available which will give your floor the impression it is still unfinished while giving it also the normal protection the HardWaxOil finish will give it. (The Pure will give this impression for a long time, but nature will catch up eventually). 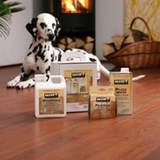 Remember, every wooden floor loves a maintenance polish every 5 -6 months. The Pure finish will come back unfinished once the polish has dried. Every order counts, as long as you place it between now (20.05.17) and the end of June (so before 01.07.17). 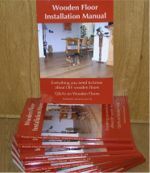 On the first of July we will draw 5 lucky winners who all will receive a tremendous information pack (with a total value of over £ 30.00: Wooden Floor Installation Manuel (E-guide), The Ultimate Maintenance Guide, 7 Easy Steps to Repair/Restore your Parquet Floor and Buying Guide for Wooden Floors) PLUS for one of these five lucky winners we will refund the purchase price (excluding delivery charges) of the order drawn. Place you order now and you might win the "Win-Back-your-Purchase-Price-Prize"! As said above, all orders, no matter their total amount or type of product purchased, will be entered into the Pre-Summer Draw. Your order must be placed (and paid for) between 20.05.2017 and 30.06.2017 to be a valid entry. That is the only requirement, we can't make it any simpler! Part tropical, part Oak - now what? Hi there, I've just installed a reclaimed mosaic floor and am now stuck on what to do next. Part of the wood is tropical and part of the wood is Oak. How do I finish this the best way? Some tell me I should not use the same oil on the Oak as I plan to use on the tropical, is this so? Well, "some" are partly right, tropical wood-species are oily of themselves and applying a HardWaxOil might give problems. The oil in the HWO will not penetrate the wood in the same way (or time) it does on blond wood-species, such as Oak, and could end up in a patchy result. Your best bet would be to use the thin oil, specially made for the first coat on tropical species, also as the first coat on the Oak - especially handy when both species are installed rather mixed, as can happen with reclaimed floors. The thin oil will do its job perfectly on both the tropical and the Oak. Then, although on tropical one coat of hardwaxoil would suffice, it does not harm the wood if you also apply two coats of HardWaxOil normally done on the Oak wood. For your benefit, and for others too of course, we have combined Saicos Clean thin Oil and Saicos HardWaxOil in one product: The Tropical Combo, available in both 0.75 ltr tins as in 2.5 ltr tins. "I've purchased wax-polish StepStop in the past from you, but I don't see it listed in your webshop. " The 'old' StepStop was one of the products from Dutch manufacturer Lecol/Leha, which we stopped selling after an argument with the English importer on the green credentials of this manufacturer - you can read the story of this episode in this blogpost (on Kiss-business II, the business blog from our hand). Saicos EcoLine Wax-Care polish and its sister EcoLine wax-care spray for lacquered or varnished floors, and even for oiled/wax floors. These products and the manufacturer have never let us or our clients down, so if you are looking for high quality and green maintenance (or finishing) products, try the wide range of Saicos, the natural finish. Anyone who ever saw an old fashion parquet floor, battered by time, has been left in awe of it. So when you see an offer of old reclaimed parquet blocks, many are prone to jump on the offer and have it installed in their own home. removed before you install the blocks in your home, otherwise you only adhere the bitumen layer to the underfloor and when this old and smelly adhesive becomes brittle you are left with loose blocks. Now, removing such a layer of bitumen is hard to do. Best - and only if your reclaimed blocks are thick enough, say over 15mm - is to cut off the bottom part of the block, removing a thin layer of wood and the whole of the bitumen in one clean sweep. But this requires a lot of time and a specialised tool - and mind your fingers, you don't want to cut those off! Once you were able to remove the bitumen completely of the blocks you can install them, in a pattern you like. Then you have to finish the floor, but since the blocks are reclaimed they already have a (often damaged) finish on them. Do you know if it is a stain, of if varnish or oil was used? Because many are in awe of the battered appearance to the reclaimed blocks, sanding it down to the bare wood will remove this authentic look. You'll be left with a lot of work and hardly anything to show for your labour, at least not the old fashioned battered reclaimed look you bought them for. There are however reputable suppliers who have new "reclaimed" parquet blocks for you: battered for the old fashioned look without the above problems. They might be a bit more in price than real reclaimed blocks, but if you add the time, trouble and sometimes even the cost of removing the bitumen the new blocks often come out at the same or even lower price. Often these news blocks come half-prefinished, so you only have to finish them, after you installed them, with a maintenance polish such as Saicos Wax-Care polish or Basin Aunt Poly's polishing wax for an even more authentic look. Others come unfinished, and you have to be carefully installing them to prevent spillages and stains of the modern adhesive, and can be finished with for instance Saicos HardWaxOil. I have just uncovered a parquet floor. It looks like a pale mahogany and appears to have no finish on it. It was probably installed in the 1950's. I was thinking of sanding to remove some unevenness and then coating with Saicos Hard Wax Oil. Should I apply Saicos Ground Oil first then the hard wax oil as per the data sheet? Or just apply hard wax oil as the video? If you have the slightest doubt your wooden floor is not Oak or any of the other non-tropical species, you better use Saicos Ground Oil extra thin for the first coat, followed by one or two coats of Saicos HardWaxOil. This way it will never cause problems while applying a first coat of HardWaxOil on a tropical wood-species can end up with a very patchy result. Tropical species are oily of themselves which prevents the HardWaxOil to penetrate the surface as it should. The Ground Oil is very thin and will not have this problem. HardWaxOil can be used without any of problems on sanded Oak, it will give you the best result, Tropical should be treated with - what we have called - the Tropical Combo for the same fine result. Nothing frustrates people as much as "watching paint dry". When you want a job done, you want it done as quickly and as easy as possible. Well, with Saicos Premium HardWaxOil you can finish your floor in just one day! Not waiting 8 hours per coat or having to sand between two coats or applying 4 or 5 coats. It's so quick and simple the video to show you how only takes 1 minute! Only apply an oil on a floor that has been sanded bare, or on an oiled floor that is badly in need of revitalising. NEVER apply a coat of oil on a lacquered/varnished floor without sanding it bare, otherwise you will create an Ice-Skating rink and we believe you do not want that type of winter fun in your home. On Oak floors, we still think a clear oil finish will bring out the true wonderful character of this great wood-species. 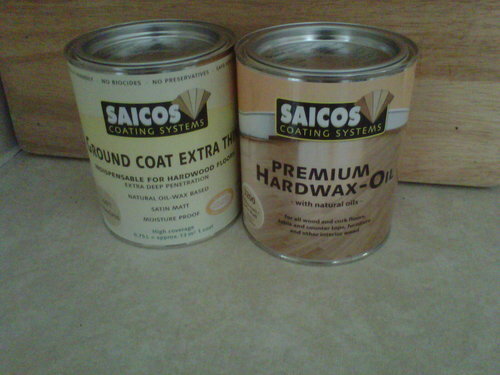 Use Saicos Premium HardWaxOil (available in 5 sheens) and finish your floor in one day! On Tropical w00d-species, use our Saicos Tropical Combo, which contains a very thin oil for the first coat and Premium HardWaxOil for the second and finishing coat. Because tropical species are oily of themselves, applying a hardwaxoil as first coat will take for ever to penetrate and dry, therefore use a thin oil first. On pine floors, any clear finish will turn your floor ugly orange after a while. To prevent this, apply Saicos Colour Oil Oak as first coat (followed by one coat of hardwaxoil) to turn it into a non-orange and beautiful floor. Not sure what the original colour of your floor is? Sand a part down, in an unobtrusive corner for instance and apply the "wet-finger" test (or use a tiny bit of water). This will reveal your floor's colour it will have after you apply a clear finish. If you are restoring a wooden floor, have a look at the Restoration Packs we created especially for this task: one for Oak, one for Tropical and one for Pine floors. Not sure if your floor needs total restoration including sanding? Simply check your floor with the points on this page: restoring without sanding. On oiled/waxed floors, use Saicos EcoLine Wax-Care Polish or Aunt Poly's Polishing Wax for the best result in regular maintenance. Next time we'll give you a short list on what to use when you need to (re)finish your wooden floor.